I hope this post is not too boringly technical as I provide some context to what follows in future posts about my life in the 1980s. The Courtelle plant at Grimsby consisted of three separate factories. South Factory, originally commenced in the 1960s was the oldest. North Factory followed in the early ’70s. West Factory was completed not long before my arrival there in 1978. South Factory contained six production lines in three pairs, each pair associated with a single chemical plant installation. These pairs were designated Units 1, 2 and 3 and the lines A to F. Typically the chemical plant consisted of a sequence of pumps, heat exchangers and vessels in which the chemical acrylamide was mixed with a solution of sodium thiocyanate. If that sounds like a potentially toxic mixture, it was. This solution was a clear semi-liquid with the consistency of treacle. Heat and pressure caused the acrylonitrile to “polymerise” – basically the molecules were realigned, changing the behaviour of the product. Small quantities of other chemicals were added also to give the finished fibre certain desirable properties. Strange but True: The metal from which the jets are made is an alloy of Platinum and Rhodium. They are, therefore, extremely valuable and spares are kept in a secure store. Worn jets are sold back to the metal merchant to be recycled. On the production floor, the mixture was forced through a “jet” – actually a curved metal sheet perforated by several hundred thousand tiny holes – into a bath containing a weak solution of sodium thiocyanate. The sodium thiocyanate from the treacle like liquid was immediately attracted to the weaker solution leaving the polymerised acrylamide, which instantly solidified into hundreds of thousands of fine fibres. These fibres were then stretched by passing between rollers to further reduce their thickness. The fibres were then washed to remove any residual sodium thiocyanate, passed through a bath containing a liquid wax which softened the fibre; if required, a dye bath of the desired colour, and thence to a dryer which consisted of a series of 24 perforated drums through which air was drawn by fans. Above and below the drums were a series of finned tubes containing steam to heat the in-drawn air. From the dryer the fibres passed between hot plates which applied a crimp to them before dropping through a hole in the floor into a box. Each line held five jet and bath combinations, the fibres from each of which came together before the softener and dye baths to be separated again on exit from the dryer. The whole was usually referred to as a “spinning line”. The solution of sodium thiocyanate from the baths was pumped back to the chemical plant where an evaporator recreated the strong solution required for the next batch. If this is a fair outline of the nature of South Factory, then North West Factory was a more or less exact replica, with units numbered 4, 5 and 6 and lines G to M. North East Factory contained several lines that operated on slightly different principles and was not much used during my time there. West Factory, referred to as Unit Ten, had 6 lines, designated AA to FF, each with 6 jets. The plant operated 24 hours a day, seven days a week, except for North West Factory which contained the lines that were shut down, in pairs, for the major overhaul I had been engaged to manage. Except, also, for one eight hour shift each week when one line was shut down for general maintenance and cleaning. Once I became a permanent member of the Engineering team I began to become involved in further projects, each of which was undertaken with the co-operation of the Management team of the relevant factory. In each case this consisted of an Engineer, responsible for maintenance of all the equipment, a Production Manager for the chemical plant and another for the spinning lines in each of the three factories. There were also an Electrical Engineer and an Instrument Engineer. The three Factory Engineers, the three Project Engineers (of which I was one) and the Electrical Engineer shared weekend and bank holiday duties on a rota for which we were paid an allowance. Thus I “worked” every seventh weekend and one bank holiday each year. The seven annual bank holidays were rotated so that, in theory and for example, we only had to do Christmas Day once every seven years. I used quotation marks around “work” because it was only necessary to attend for 3-4 hours on Saturday and Sunday, or the designated bank holiday, to investigate any problems that might have developed over night and to sign work authorisations for such tasks as needed to be tackled by the Engineering craftsmen once you had satisfied yourself that the necessary safety precautions were in place and understood by the work team. Thereafter one would be “on-call” for the remainder of the day should any further problem arise – a rare occasion. There were, in addition, a Works Engineer, with overall responsibility for all Engineering on the three factories, a Services Engineer who was responsible for the safe operation of the steam and power generating plant and all air and water services, and a Site Engineer whose responsibilities also included the rayon production factory which had been in operation at Grimsby since the 1950s and took wood pulp from SAICCOR, where I had worked six years earlier. Of course, it soon became clear that the job would take longer than six months – there were at least six lines to do, at three months each that meant the project would last at least a year and a half. It also meant, of course, that I was away from home from Monday morning to Friday evening. I had the use of a car from the company pool and my accommodation in Grimsby was paid for by the Courtelle Division who also paid Courtaulds Engineering for my services. I discussed with my ex-colleague the possibility of my becoming a permanent member of his team and he agreed that it would make sense, but for some reason I never fully understood, the divisional board considered the possibility on a number of occasions over the succeeding months but it was fully one year before they finally said “yes”. My lodgings were in a small boarding house on one of the short streets running back from the promenade in Cleethorpes. Run by a Scottish former sub-mariner and his wife there was a clientele that mostly consisted of company representatives who made visits to the area on a fairly frequent basis and I got to know them all. There was also, for a while, a chap who was in the same position as me; from Newcastle, he had been appointed manager of the local branch of Lucas vehicle electrical equipment and needed to stay in the boarding house until he found, and completed the purchase of, a house in the area. We’d often stay up until quite late after dinner playing darts and “chewing the fat” with these men and the proprietor’s Scottish friend who was the PR Officer for the local council. A full English breakfast every morning (very similar to a “full Irish”), two courses for lunch in the staff canteen (staff were separated from shift workers! ), and two further courses for dinner back at the digs, washed down with two or three pints of beer, saw my weight climb from 10 stone to 11 stone for the first and only time in my life. I took note of this and cut back on some of the meals and the booze. I also spent some evenings taking long walks on the beach south of Cleethorpes. There were miles of mud flats exposed by low tide. I remember one occasion when I had walked a long way towards the sea and suddenly realised I was looking up at the horizon and the string of container ships and tankers awaiting the tide before entry to Hull, Immingham or Grimsby ports. That is certainly how it seemed. It was definitely a disconcerting feeling and I quickly turned round and walked back! I can fully understand now how people get caught out by fast incoming tides in similar situations. In the summer of 1978 I booked us into a chalet in the nearby holiday camp for two weeks so that Freda and Ian could have a taste of Cleethorpes. Back in Coventry at weekends I helped out with the collection of old newspapers for recycling as part of the local Scouts’ fund raising as well as continuing my voluntary work with the Community Broadcasting Service. Ian joined the cast of the Gang Show. I’ve written elsewhere about the snow that made it difficult – but not impossible – for me to get back to Coventry to see the show in March of 1979. In May of 1979 the company finally made me an offer of permanent employment at Grimsby. They would continue to pay the boarding house costs for three months. As I was no longer working for Courtaulds Engineering I had to return their car and purchase one of my own. The salary I was offered was considerably more than I had been getting and there was a lump sum allowance to help with the cost of moving. We found a house in the centre of Cleethorpes, a narrow Edwardian terrace that had been constructed with four bedrooms upstairs and four rooms downstairs. The two back bedrooms had been knocked together and the bathroom made larger. Downstairs the door connecting the first two rooms had been taken out and replaced with an archway. Beyond that was a small dining room and a good sized kitchen. It would be our home for the next nine years. We arranged the move for the middle weekend of Ian’s two week camp in the New Forest with his Coventry scout group. 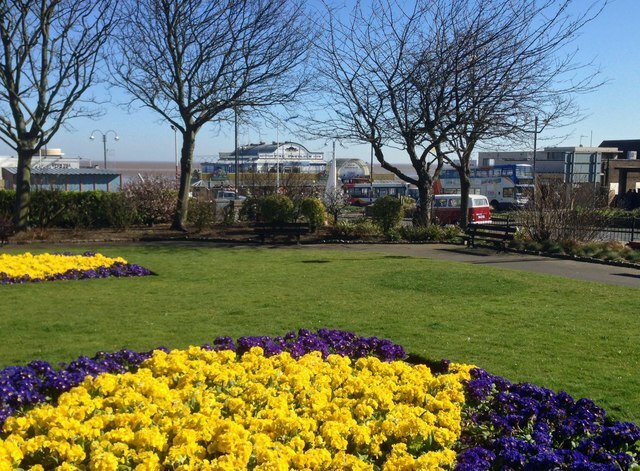 We learned later that he had asked his best friend’s mother if he could stay with them after his mother and I moved to Cleethorpes! We drove down to Bournemouth on the last weekend of the camp to bring him back with us – the whole group had traveled down from Coventry by mini-bus and were returning in the same way. 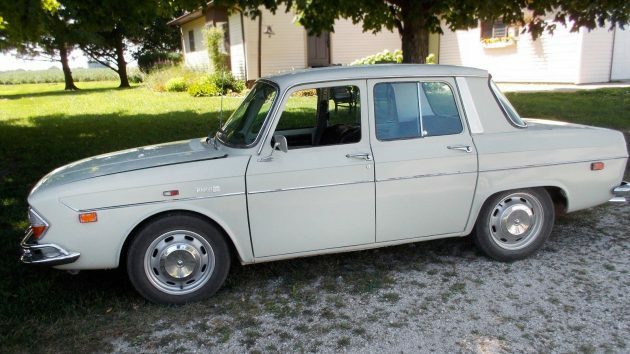 I had purchased a car from Freda’s brother – a white, rear engined, Renault 10. Although I’d driven it between Coventry and Cleethorpes several times by then, I had never before taken a short break during a long journey, setting out to continue before the engine had properly cooled. 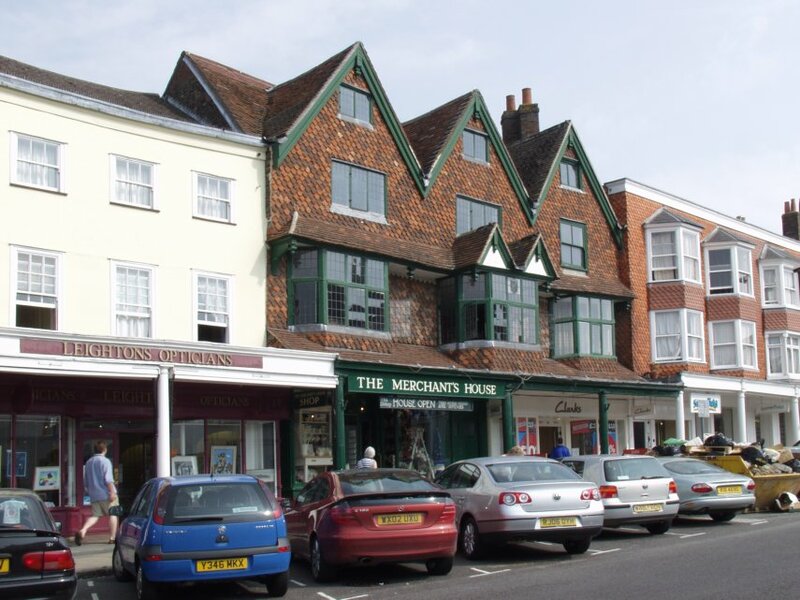 We stopped for a food break in Marlborough, parking near the town’s Market Square. When I turned the key in the ignition on our return to the car the engine emitted a loud report and a puff of smoke. After the initial shock, and having checked that everything looked okay in the engine compartment, I turned the key again and the car started as normal. We learned that this was a “standard feature” of the car and sometimes took pleasure in watching people’s reactions whenever it happened.